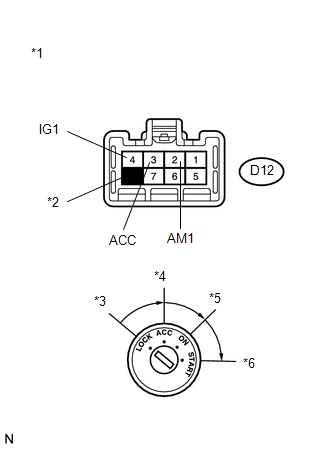 The main body ECU (driver side junction block assembly) determines the ignition switch position (OFF, ACC, ON) based on signals from the IG or ACC circuit. 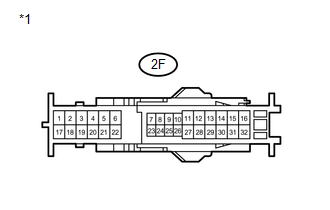 (d) Select the items below in the Data List and read the display on the Techstream. When the ignition switch is operated, the display changes as shown in the table. 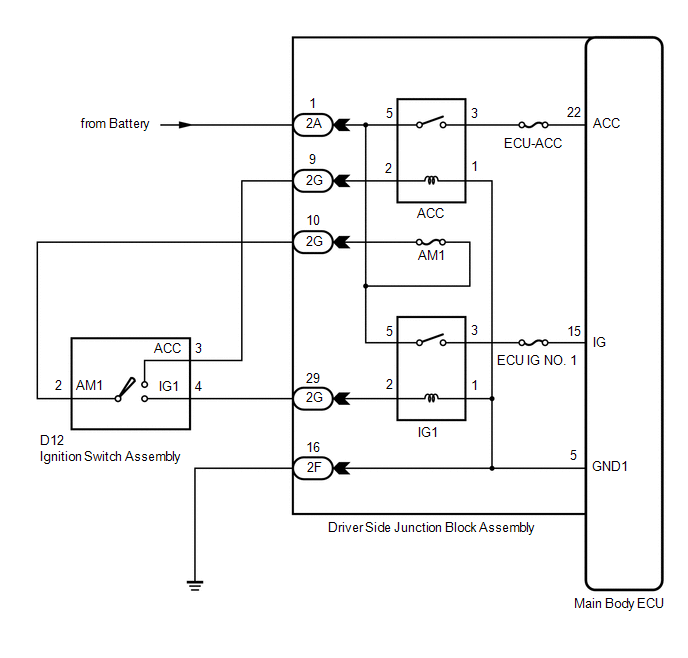 (a) Disconnect the 2A driver side junction block assembly connector. (b) Disconnect the D12 ignition switch assembly connector. 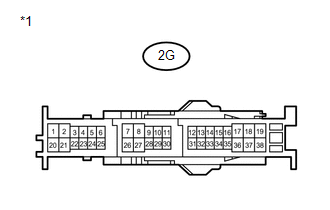 (a) Disconnect the 2G driver side junction block assembly connector. 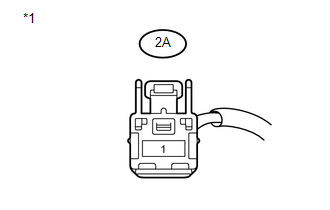 (a) Disconnect the 2F driver side junction block assembly connector.